The world’s first affordable wetsuit that has all the features you need, and none you don’t. Use our size finder and thickness calculator to find the perfect fit. To find the perfect size take a moment to measure your chest and waist. Tell us what you wear now and we'll find your perfect size. What makes the ultimate wetsuit? You’ll experience unlimited freedom of motion with the most flexible, warm and durable limestone neoprene available. 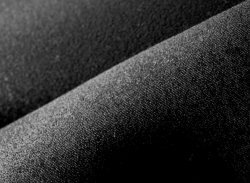 Limestone based neoprene is much more environmentally friendly than its petroleum based predecessor and can be recycled. SRFACE wetsuits are made with the most flexible nylon lining that feels smooth on the skin and stretches 400% in all directions. Your sessions will last longer with insulation where you need it most, keeping you protected from wind chill. Offering uncompromising warmth, the quick drying hollow fiber plush insulation is used only in the areas you need it most. So you’re able to stay flexible in your hips, knees, shoulders and arms. Our sealing technique blocks out water and is guaranteed to last for years. External liquid rubber seams offer additional strength and durability. 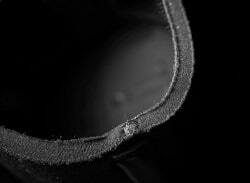 Taping the inside of our seams is the third line of defence against water entering your wetsuit. This new generation of 0.5mm thin neoprene tape is neatly heat welded onto the seams, eliminating excess glue on the tape’s edges and reducing chafing against the skin. Carefully designed to keep water out and prevent your wetsuit from stretching and losing its shape after intensive use. 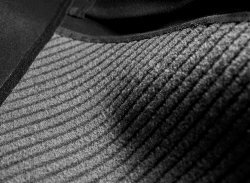 With many hours spent in the lineup fine tuning numerous prototypes, the panel design is optimized to create the best combination of comfort, warmth, flexibility and durability. All stress points on seam corners are reinforced on the inside with a welded on Melco dot. 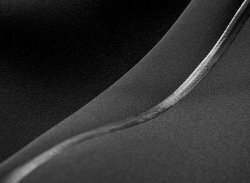 Making your suit last longer, preventing tearing. 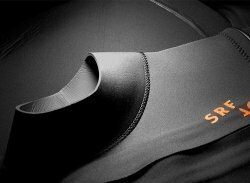 Velcro leg straps offer extra protection against cold water entering your suit at the ankles, with the additional option to use them to seal the gap between your wetsuit and your booties in winter. Keep your belongings safe while surfing with the easily accessible key pocket and elastic loop on the right leg. Maximize your session time in winter waters by keeping your head warm, dry and comfortable with a plush lined hood. 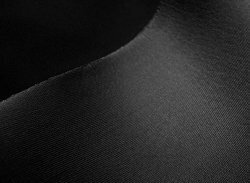 All seams are reinforced with an additional hidden layer of glue between the neoprene panels preventing water from entering the suit. 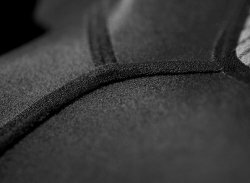 Blind stitching to the outer side of the suit offers additional strength; the needle doesn’t penetrate the neoprene completely, but only stitches through the outside half of the neoprene to prevent leakage. The best zip out there. YKK ensures quality and durability for years to come. High-impact, high compression rated, abrasion resistant knee pad material helps protect the knee area of the suit from wearing out. Lets water out, not in. In the unlikely case of water entering your suit after a big wipeout, via the shoulder opening and wetsuit layer below, the drainage hole allows water to drain out before it can touch your skin, helping to keep you warm and dry. Elastic tensioner with toggle allows you to apply pressure on the shoulder opening preventing water from entering your suit. The sticky print design detail to the shoulder offers additional closure to the shoulder opening seal. *on our hooded 5mm only. Expected in 2019. I've tried many wetsuits over the past couple of years... but I'm sticking with SRFACE"
Can you tell me more about the 30 day trial? Try it on, paddle out, cut back, get tubed. You can try any of our products for 30 days from the day you receive them. This post-purchase, risk-free 30 day trial serves as our return policy. If you decide your SRFACE wetsuit isn’t for you, return it in the original SRFACE bag. Simply request your free return label by visiting www.srface.com/returns. 100% of your original payment will be refunded. We strive to make our product as eco-friendly as possible. By working with sustainable materials and partners, we’re reducing CO2 emission and our ecological footprint. We use limestone neoprene, which is more eco-friendly than its petroleum based predecessor. You can contribute yourself by recycling your SRFACE packaging which has been neatly designed for use as a wetsuit bag. Can I try on the wetsuit in a store? To keep our wetsuits affordable, SRFACE doesn’t rent, own or work with retail stores. Our Size Finder guarantees a perfect fit, but if you’re not sure what size to choose, our customer support team are reachable through web chat, telephone or whatsapp. Our products are usually shipped on the day the order is placed. Once your package is shipped, you’ll receive a shipping confirmation email with a tracking number. Depending on the country where you live, you can expect your items to take 1-5 working days to arrive at your door. Netherlands and Belgium: Next day delivery. 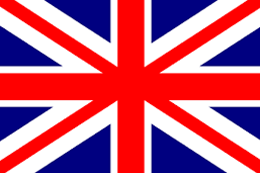 France, Germany, United Kingdom: 2-3 business days. Portugal, Spain: 3-5 business days. Rest of Europe: 4-6 business days. Track your order at track.srface.com.